Quick and easy solutions - like jus, bouillons, soups and seasonings, to help chefs and professional kitchens bring out the flavour and nutrition of fresh food ingredients. The Maggi brand originates from Switzerland where in 1863 Julius Maggi created a recipe of flavours to bring added taste to meals. This marked the beginning of theMaggi brand and its convenient products. 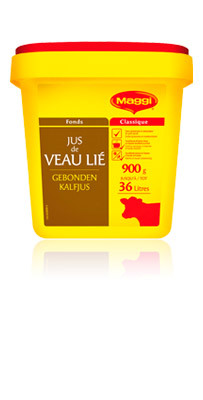 Julius Maggi was a pioneer in combining convenience and nutrition. In 1882 he served up two instant pea soups and an instant bean soup accelerating the movement to easier food preparation and enjoyment. In 1947 Nestlé acquired theMaggi brand. Today the tradition continues around the world. Whether it’s Maggi jus, bouillons, soups or seasonings, professional kitchens have come to know and trust the Maggi brand for its high quality, convenience and nutrition. Nestlé Professional is dedicated to meeting the needs of chefs and food service operators. Together we work to offer consumers tastier and healthier choices. Visit Nestlé Professional to learn more about our specialized beverage systems and food solutions.